Uber Technologies Inc. knowingly leased its drivers recalled cars in Singapore that were at possible risk of catching on fire, reported by the Wall Street Journal. The ride service company said it was already on the problem and has fixed it. Koh Seng Tian, an Uber driver, was just doing a normal routine drop off around a neighborhood in Singapore, when he smelled smoke from his Honda Vezel vehicle. Then all a sudden, flames erupted from the dashboard, melting the interior and cracking the car’s windshield as well. Uber had knowingly rented the car to Mr. Tian after Honda Motor Co. had recalled the cars back in 2016 for known issues of overheating that led to possible combustion. According to emails, it was reported that the Singapore management knew that the 1000 cars leased out to drivers were recalled, as well how Uber had bought the cars and rented it to drivers without repairing a majority of them. But the emails do not state exactly if executives at headquarters in San Francisco were aware of the issue of the Singapore branch leasing defective cars. The Journal reported that Uber's lawyers had assessed potential legal liabilities including possibly violating driver contracts. "As soon as we learned of a Honda Vezel from the Lion City Rental fleet catching fire, we took swift action to fix the problem, in close coordination with Singapore's Land Transport Authority," Uber said in a statement. The Lion City Rental Fleetwas created as a unit by Uber back in February of 2015 to allow drivers to rent Uber-owned cars for roughly $50 a day because Singapore ranks among the world’s highest region to own a vehicle. This incident in Singapore, which wasn’t publicly acknowledge at the time, just adds on to more of the terrible customer relation and service the company had already been seeing for awhile now and even back then under former Chief Executive Travis Kalanick. Kalanick even previously insisted on running the company “a scrappy startup” even though Uber was already a major global operating ride service. "(This incident) will receive some attention and may dissuade some people from using Uber, but I don't see it as having a major impact," said Dane Anderson, a vice president at researcher Forrester. 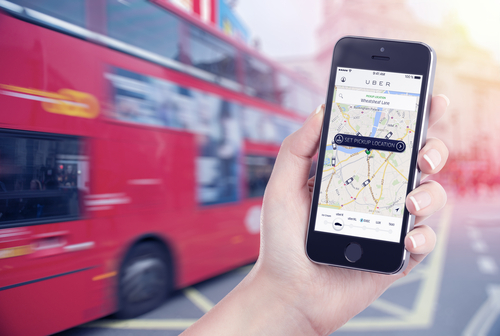 Uber is well known to disregard many regulations and laws that are imposed on ride service companies. It has been found in violation of transportation laws in countries such as South Korea and France. In the U.S., it defied California regulators by putting self-driving cars on San Francisco streets last year without proper permits, and it remains beset by a litany of legal challenges and a corporate culture stung by sexual-harassment allegations, according to Business Standard. And due to the a giant loss of $3 billion for the company, Uber has pulled out of major countries like China and Russia, but has been using Singapore as a propeller to grow and expand in the Southeast Asian region. The Wall Street Journal’s report of this issue from Uber has caused a rise of attention in Asia and has many other Asian countries questioning the legality of the company, which has led Uber to suspend services in many locations.